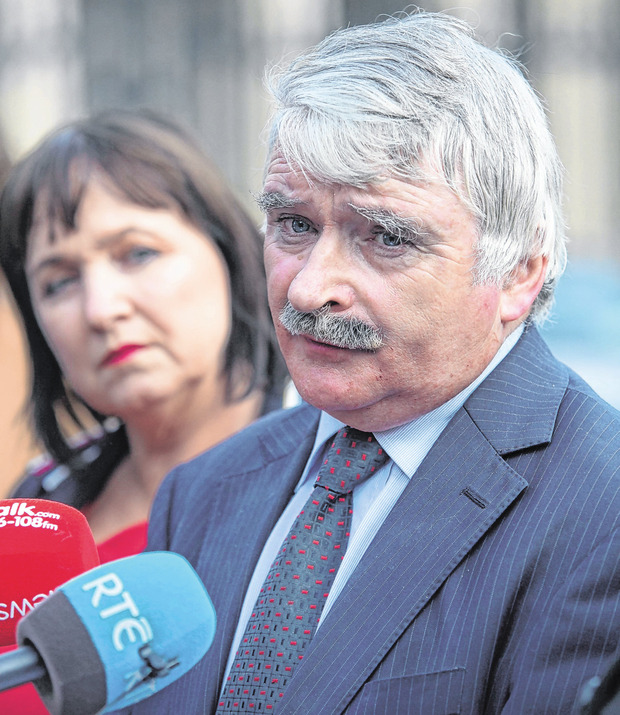 The Government is laying the groundwork to refuse an increase in social welfare payments in Budget 2019, Fianna Fáil's Willie O'Dea has said. The former minister has already said he wants to see payments like the old age pension increase by €5. But he claims Fine Gael is trying to create a narrative whereby Ireland is seen as a welfare nation. He was reacting to the publication of the report from the Department of Finance, which claims almost every person benefits from some form of social welfare. It argued the country is "overly dependent on monetary social transfers". But Mr O'Dea told the Irish Independent that "the mandarins" fail to recognise current payment rates are "not impacting on poverty levels". He recently obtained figures from the Department of Social Protection which show that the "severe material deprivation rate" for loan parents was 23.2pc in 2016. The Irish rate compares badly with the EU average of 15.7pc. Mr O'Dea said that if Finance Minister Paschal Donohoe refuses to increase welfare rates next year, the situation will only get worse. "If you had no increase this year, social welfare would fall in real terms. Top level inflation is low but includes the cost of planes and yachts and luxury goods. Household inflation is running much higher," the Limerick TD said. "If you reduce the real income of people, including pensioners, you'll certainly increase poverty levels." His comments suggest welfare will once again be the key battleground ahead of the Budget. While his party has yet to publish its priorities for the Budget, Mr O'Dea said he has faced no internal backlash for calling for pension increases and expects welfare to be high on the list. "We haven't worked out our Budget tactics yet. I was merely reacting to a speech by the Minister for Social Protection (Regina Doherty) where she suggested she didn't have the money this year. "But they were able to find the money three years ago when the economy was in a weaker position," he said. Accepting that the Department of Finance report suggested spending should be targeted, Mr O'Dea said the broad nature of the system needs to be maintained. "It does suggest spending should be more focused, but if you increase the total sum in one area, you take it from somewhere else. "They are trying to create a narrative that allows the Government go back to regressive budgeting is dishonest and not on," Mr O'Dea added.